The God of Thunder returns to save the day in Thor: The Dark World but an ancient evil may be too much for even the mightiest of warriors to handle on his own. 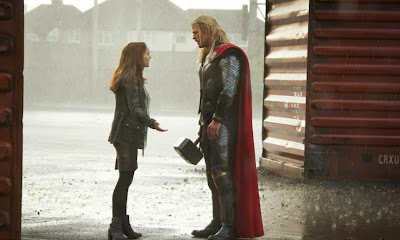 Chris Hemsworth returns as the hammer wielding Avenger along with Tom Hiddleston, Natalie Portman, Kat Denning, Anthony Hopkins, and Stellan Skarsgård. Alan Taylor, best known for his work in Game of Thrones, takes over the director's chair from Kenneth Branagh who originally brought Thor to the big screen. After having defeated his brother Loki (Hiddleston) while saving the world from destruction on two different occasions, Thor (Hemsworth) has had to spend a lot of time bringing peace back to the nine realms. 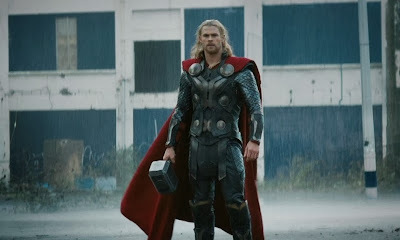 With his homeworld of Asgard firmly back in its rightful place of power, Thor chooses to return to Earth rather than take the place of his father Odin (Hopkins) on the throne. 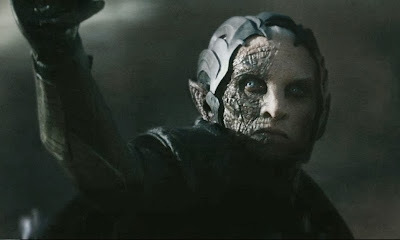 Meanwhile, the ancient and evil elf lord Malekith (Christopher Eccleston) has emerged to claim an all powerful force that can help him and all his evil elven friends return the universe to a state of eternal darkness, which apparently they prefer. Back on Earth, Jane Foster's (Portman) scientific research leads her to a very unexpected discovery and she soon finds herself right in the middle of a blossoming war between Malekith's dark army and the heroes of Asgard. 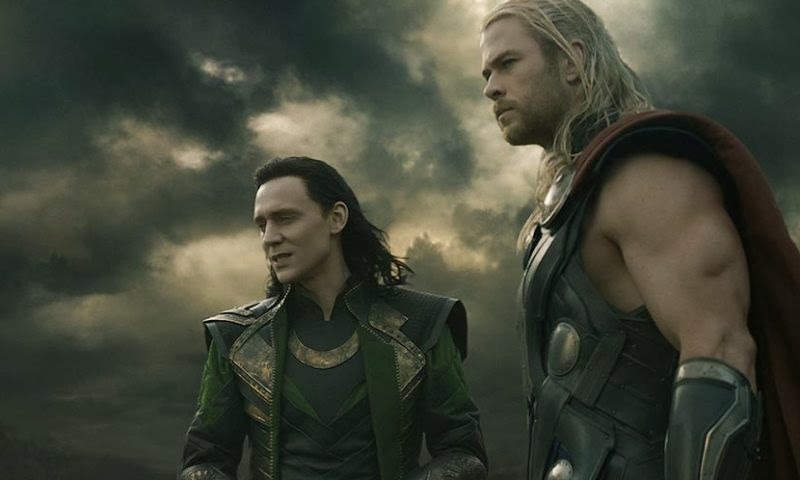 As the darkness spreads, Thor must call on his brother Loki for help even though any bond of trust between the two had been broken during their previous disagreements. When I sat down to watch this movie, I was fairly certain it would be at least mildly entertaining and my best hopes were for it to fall somewhere in between the first Thor movie which was a very solid effort and the outrageous perfection that is The Avengers. As I walked out of the theater, there was no doubt in my mind that the end result was leaning more and more to the positive as my friends and I couldn't stop beaming about how unexpectedly fun this movie turned out to be. The action is bigger and more spectacular, the special effects are appropriately eye popping (the added 3D remains non essential), and to top it off, this movie was flat out hilarious! Even with all that going on, it was still the characters and the acting performances that kept this from becoming just a shiny piece of fluff with no real substance. 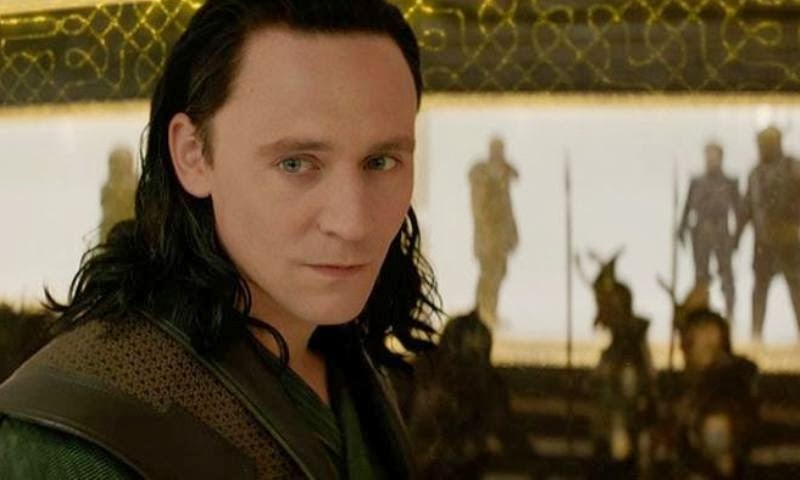 Tom Hiddleston continues to play Loki to absolute perfection. The places he is able to take the character, from maniacally evil to heartbreakingly sad within a matter of seconds, is pure genius and he manages to take over every scene he is in. This in no way diminishes what his fellow actors bring to the table, but I truly believe he is in a class all his own. "It's incredible how many places this movie takes influences from. 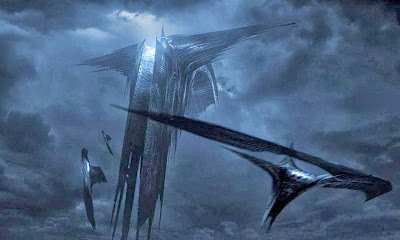 Is this a Lord of the Rings movie? Or is it Star Wars? Avengers? Conan the Barbarian? Hitch? Goonies? Independence Day? I defy anyone to try and put a finger on this movie. Its parts are entirely unoriginal, a massive hodge-podge of tropes and genre expectations. And yet, when put together, the whole is SO MUCH greater than the sum of the parts. 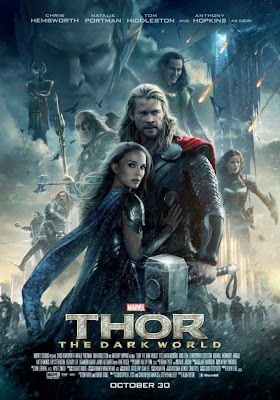 Genres and sub-genres are smashed together so successfully in Thor 2 as to inspire confidence that while Marvel continues to step off the beaten path, they do so with the confident stride of a seasoned traveler. Equal parts humor and adventure, Thor 2 is just plain good fun." Yes, I'm all in when it comes to the Marvel Cinematic Universe and you can call me a fan boy if you want, but I can honestly say I have yet to be disappointed by anything that has come out of this freight train of a franchise (I even liked Iron Man 3, for the most part). Its nice to see Marvel going all out with the geeky comic book stuff and not having to worry about catering to demographics and keeping things in a grounded reality that doesn't alienate the casual moviegoer. Thor: the Dark World is fantasy, science fiction, and super hero awesomeness all put on the screen in a very exciting unexpectedly fun way. Oh, and make sure you stay for both post credit scenes.